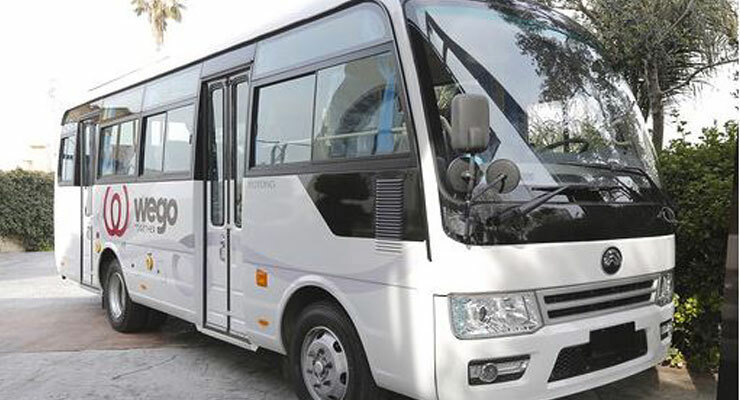 Connex, a private transportation company operating in Beirut, is preparing to launch WeGo, a public bus service in the Jbeil caza. Connex has rented a plot of land from the Municipality of Byblos, where it will develop the main station. WeGo will operate seven routes within the caza, as well as one linking Byblos to Beirut. The company has already signed contracts with 30 municipalities in Jbeil. The project is valued at $6 million. It has 90 stops and 40 buses equipped with screens, cameras, and Wi-Fi. “Many people do not use public transport because the quality of buses is poor or because information about their timings, stops, and routes is missing,” said Henri Bou Obeid, General Manager. A smartphone application that has scheduling and route information will be available. Bus fare will range from LL2,000 to LL5,000 ($1.30-3.30), depending on destination. The project is expected to create 120 jobs. WeGo should begin operations by the end of the year. Connex is looking to launch similar routes within Kesrouan in 2022 and Metn in 2024, and is considering other areas as well.